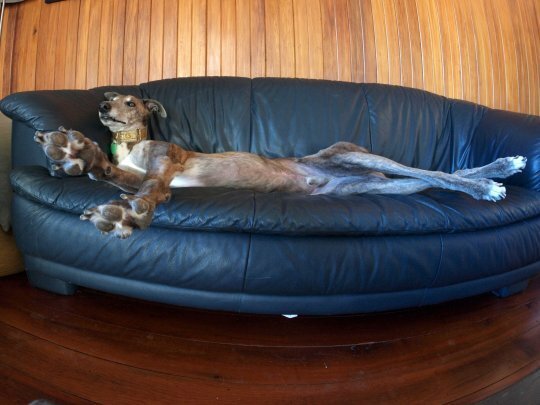 Greyhounds have a reputation for being very runny dogs. Not only are they very fast, but I know few owners who have not commented on the consistency (or lack of any) of their crap. Fortunately this is easily fixed, and you, your dog and your garden or neighbourhood will be happier for it. We’ve had a fair bit of experience with bull mastiffs; these are a breed that tends to have skin allergies. We learned that one of the important factors in allergies in many dog breeds is diet – for example, as many as 30% of dogs are allergic to beef. In some ways this makes sense – we tend to feed dogs (and ourselves) the parts of animals that would not be prized very highly in the natural world. You don’t see prey animals stripping off muscle from a fresh kill – they prioritise others parts like heart, liver, lungs, stomach (what we would normally consider offal). Dried foods are relatively cheap, clean and easy to store and use but they are often another source of irritation for dogs; with our last two bull mastiffs we had to be very careful what brand of dried food we used, and even a slight change in formulation by the manufacturer could cause quite strong reactions. It is interesting to observe that our first bull mastiff lived to an age of about 12, on a diet that contained no dried foods; our subsequent 2 dogs died a very early ages after living on a diet that was mostly dried food. Twiggy died at the age of 5. You can’t draw any meaningful conclusions from such a small sample, but why take risks? Other popular brands were manufactured by a multinational company well known as a laundry detergent manufacturer (in fact, Procter and Gamble has sold its pet food interest to Mars); would you trust your own (or your child’s) diet to a soap manufacturer or a chocolate company? Do you really think these companies are completely devoted to ensuring the very best for your pet? In her book “Gulp”, Mary Roach devotes an early chapter to the dog food industry, and it is really quite enlightening. These companies are going to extraordinary lengths to convince customers that a product that is basically unpalatable and useless (if not outright harmful) to dogs, is the best thing since sheep guts. No dried foods, no beef. Raw chicken necks (we tend not to give chicken frames when we have more than one dog, but if supervised we would do). Superior Chunky Chicken dog roll. This and Ranchman are the best two dog rolls that we know, but Superior really is better. 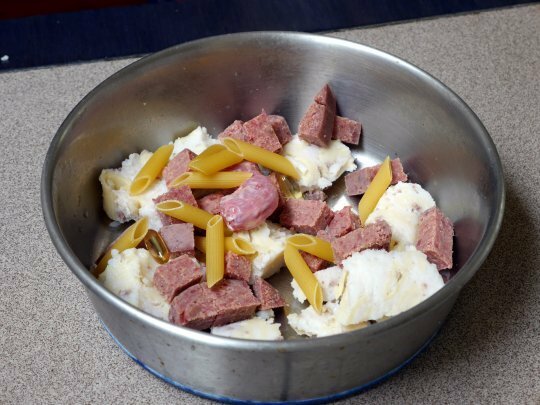 Almost all other dog rolls more closely resemble luncheon sausage or pureed fat and water than anything a dog might want to eat; our dogs love this dog roll. Fish oil tablets ( we also often give flaxseed oil if we have it). Dried pasta – something crunchy to help massage teeth and gums. Boil defrosted 900g chicken mince in about 4 litres of water, add 5 cups of long grain white rice and any vegetable scraps, boil for further 7-8 minutes, add 500g pasta, remove heat, cover and leave for about 45-60 minutes. Press rice mixture into 2L ice cream containers while it is hot, let it cool and store in fridge. The resulting cake is easily handled and not messy for the dogs to eat, and they love it. It doesn’t take long to make this and I will usually make enough to fill 3 2L ice cream containers (about 6.5kg), which we store in the fridge (or freeze if traveling). We find this will feed our two dogs for about 5-6 days. 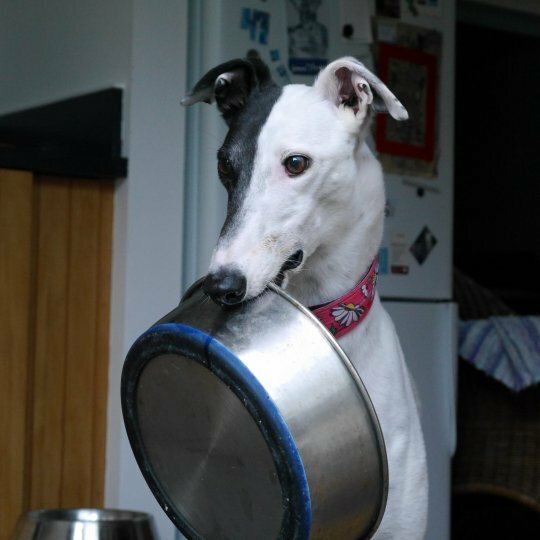 Rice itself may not contribute much to the dog’s diet (though vegetables may do), but in this context (used with other foods) it helps owners to more easily moderate their dog’s food intake. 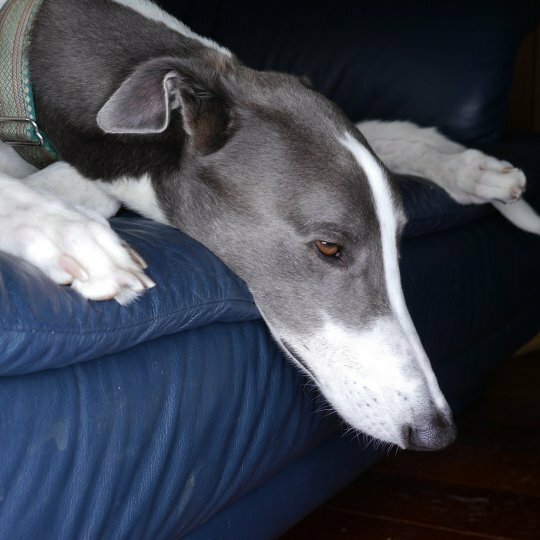 There is nothing more sad than seeing a fat greyhound. 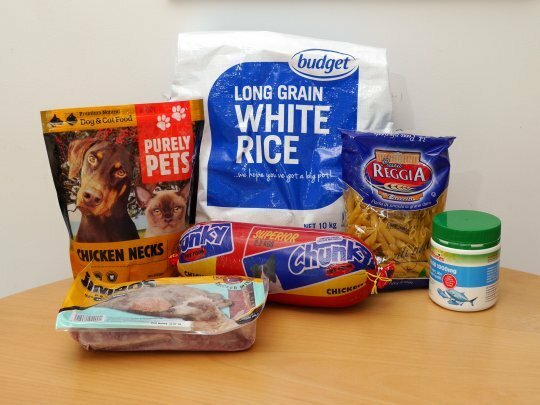 Chicken and rice together are often used as a base diet when dealing with allergies, to see what reactions occur when other foods are added later, and in most cases are a good starting point if you are trying to isolate food allergies with your dog. 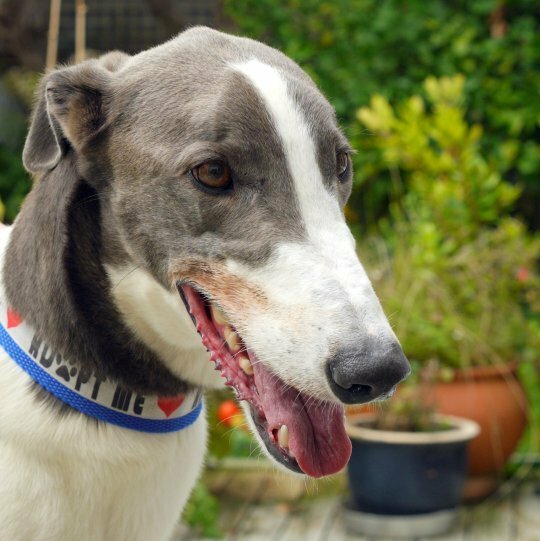 When we receive foster dogs, they invariably have runny tummies – probably caused by stress, but also by diet. We always see an improvement within a day or two (although it can take up to a week) as soon as we change to the diet shown above. We also see improvement in other areas, for example light coloured dogs will usually show a brown greasy stain on their muzzle, within a week or two this almost completely disappears; their coats look better and they tend to start putting on a bit of weight. There is a huge difference in his coat (he looks fantastic!) and his muzzle is much cleaner. I notice that some dogs at GAP runs have quite noticeable muzzle stains, and these dogs are on a dried food diet – I figure this indicates diet is probably the main factor causing this. Patch (above) had very pink and irritated knuckles and joints, as well as an almost black smear on her muzzle. Within a few days of starting her new diet, she had improved to where neither were evident. Thanks for reading. Enjoy your dogs! This entry was posted in Uncategorized by hindesite. Bookmark the permalink.